We provide a full range of web services with expertise in Website Design, Website Development, Website Maintenance, Website Redesign, Offshore Outsourcing, Ecommerce Web Development, CMS Web Development etc. We provide quality web design solutions and create professional websites with fresh and innovative web design ideas. we offer includes website design, redesign, CMS (Content Management System), CSS web design, open source ecommerce websites, personal web pages, custom template design, open source shopping carts, blogs, custom web design, website maintenance, seo (search engine optimization) and much more. We are team of Joomla Experts . we provide pixel perfect website fully manageable via admin panel , we create fully Responsive websites .we provide theme option panel like premium themes . we have done more than 1000 Joomla websites . 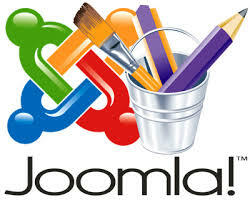 we can handle any kind of Joomla related work .we provide website maintenance service as well .